Avoidant personality is a condition characterized by social inhibition. Individuals diagnosed with avoidant personality are typically hypersensitive to criticism and fixate on what others think of them. As a result, they withdraw from situations in which they may be judged. It is not uncommon for someone to be concerned about how others perceive them. Yet individuals with avoidant personality dread being labeled as inadequate. This fear manifests in a variety of social and professional contexts. Although they may desire intimacy and affection, people with avoidant personality often have trouble maintaining meaningful relationships. Their fear of rejection prevents them from opening up and meeting new people. Intimate relationships can be especially difficult for individuals with avoidant personality, who may constantly worry about saying something wrong or embarrassing themselves. This worry leads them to withdraw. Since individuals with avoidant personality are sensitive to criticism, they may be more easily hurt by others. Individuals with avoidant personality are likely to be quiet and shy. They may seek to be "invisible" in order to avoid criticism. Although they want to engage with others, their fears tend to make it difficult for them to do so. Individuals with avoidant personality are usually aware of even the subtlest of reactions. They often perceive rejection in social interactions, even when the person’s intent was neutral. If someone happens to criticize their anxious demeanor, this criticism may confirm the individual's feelings of inadequacy and perpetuate a cycle of avoidant behavior. 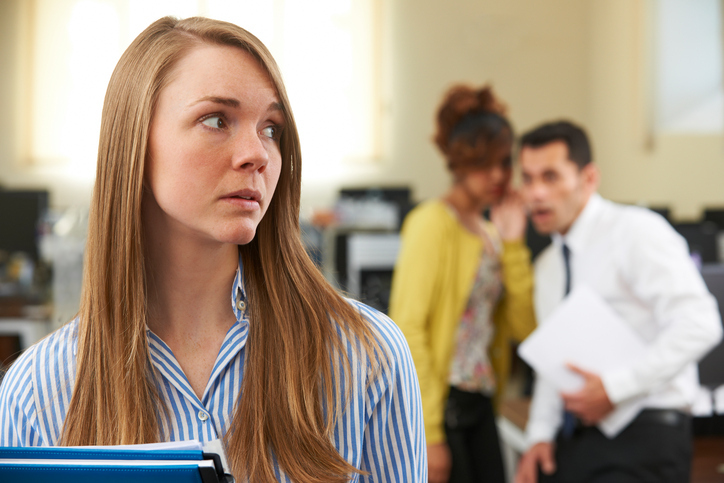 An avoidant personality is likely to hinder a person's job as well as their social life. People with this condition may decline job promotions or increased responsibilities at work because they worry about failure. They often isolate themselves, reducing the size of their support network. Individuals with avoidant personality can be prone to depression, bipolar, and anxiety. Social anxiety is particularly associated with avoidant personality. They may also meet criteria for a diagnosis of dependent personality, because they can become overly reliant upon a small number of trusted people. Experts believe avoidant personality is caused by a combination of one’s biology and environment. The condition occurs more commonly among family members, suggesting a genetic component is at play. Rejection by peers or parents may also have a role in avoidant personality. About 2.4% of people meet the criteria for avoidant personality. The condition typically develops by early adulthood and appears at similar rates in individuals of all genders. Treating avoidant personality can be difficult, as the condition is a pervasive and enduring one. However, individuals with avoidant personality often genuinely want close relationships. This desire can increase their motivation to seek out and follow treatment plans. Psychotherapy is the primary treatment for avoidant personality. Psychodynamic therapy and cognitive behavioral therapy (CBT) are two specific types of therapy often used to treat this condition. Psychodynamic therapy, which involves exploring unconscious factors behind feelings of inferiority, can help people resolve past conflicts that may be causing current issues. The focus of CBT, on the other hand, is the identification and modification of problematic beliefs and behaviors. There is no medication that is approved specifically for the treatment of avoidant personality. However, doctors may prescribe antidepressants to target co-occurring anxiety or depression.